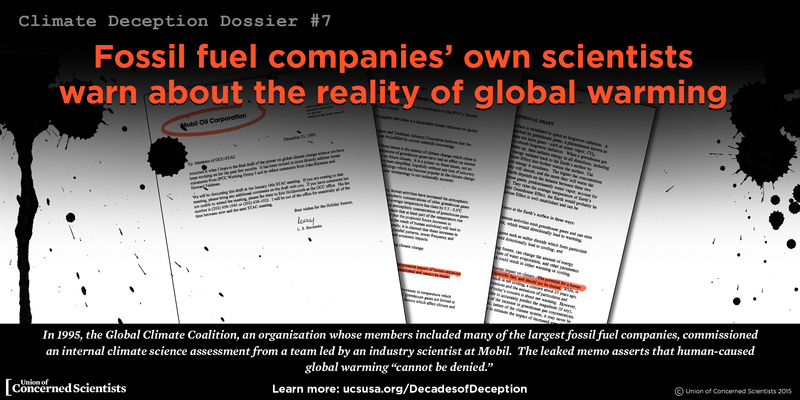 Fossil fuel companies and their trade associations have been peddling climate disinformation for decades. 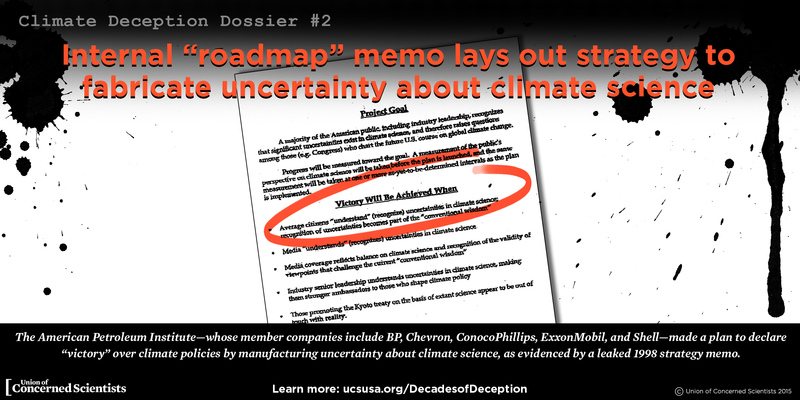 Since the late 1980s, when the scientific community overwhelmingly recognized the risks and reality of global warming, these companies and groups have been on the offensive, manufacturing uncertainty and rejecting sound, science-based policy. 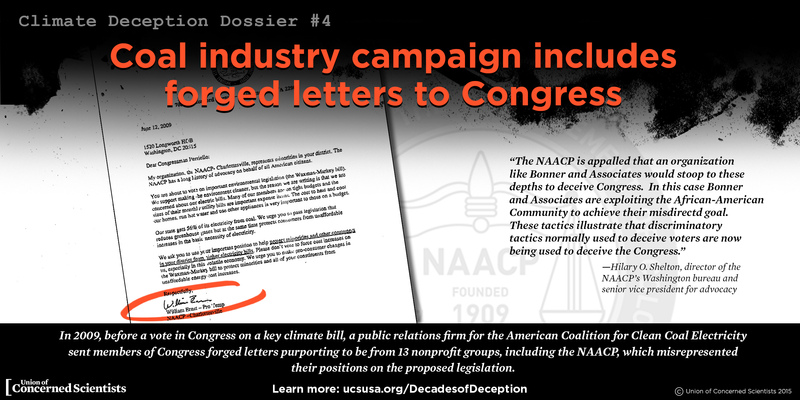 Below, we expose their obstructionist tactics and shine light on their decades of deception with 40 key moments in the history of fossil fuel industry climate denial. 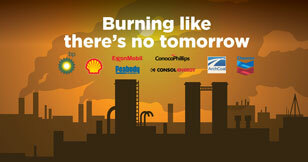 You can help share the story. 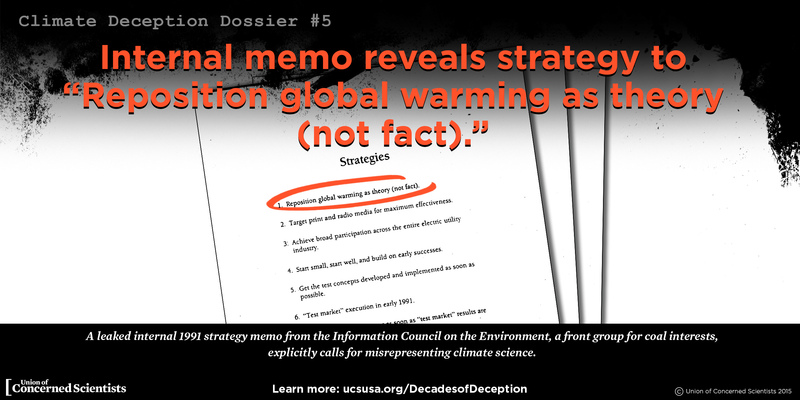 Tweet the real #climatefacts today! 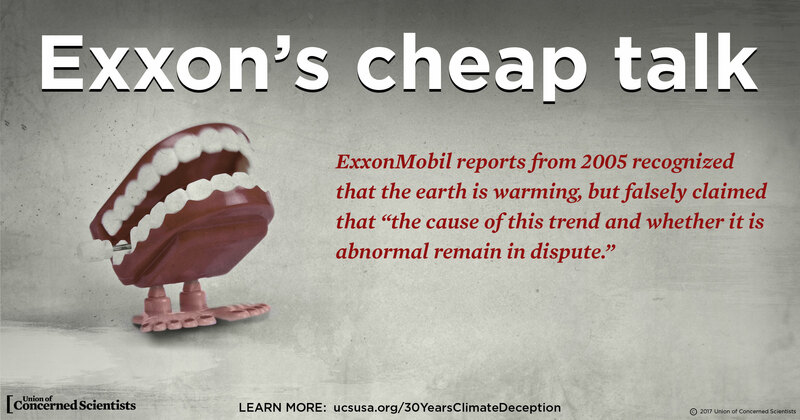 2000: ExxonMobil publishes an ad in the New York Times falsely stating that, because of natural variability in the earth’s climate, “it is impossible for scientists to attribute the recent small surface temperature increases to human causes.” Source. 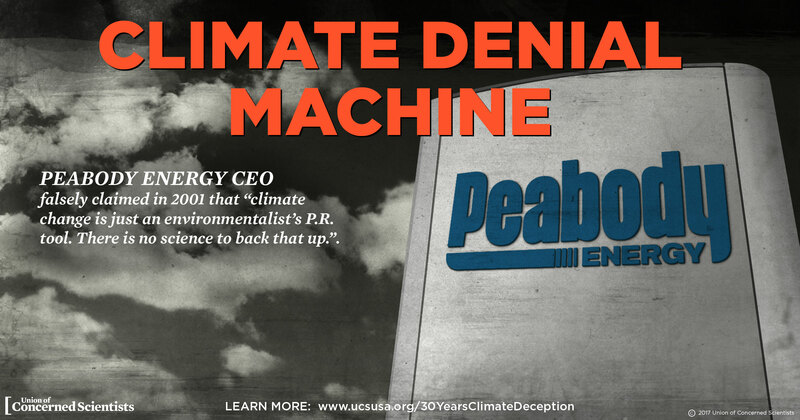 2001: Peabody Energy CEO falsely claims that “climate change is just an environmentalist’s P.R. tool. 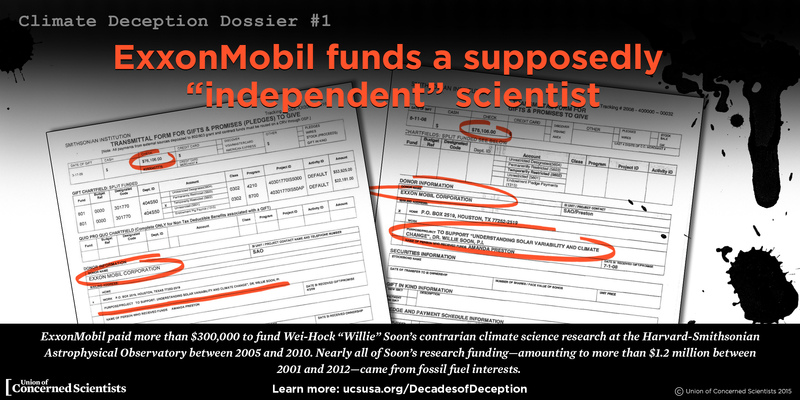 There is no science to back that up.” Source. Tweet . 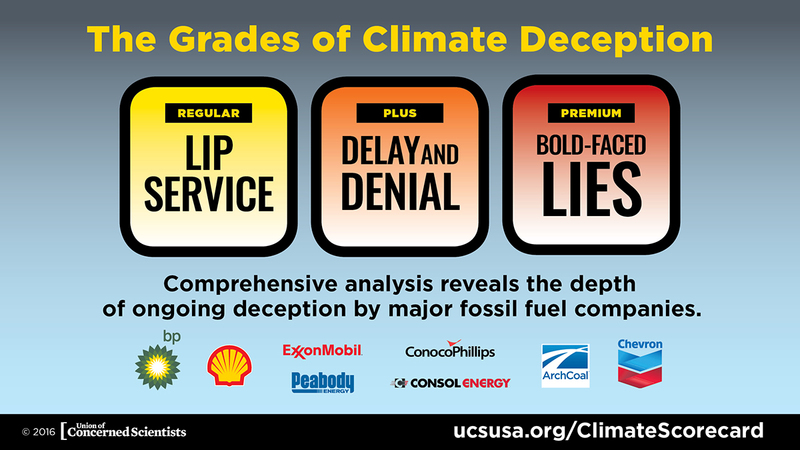 2009: ConocoPhillips submits comments to the EPA claiming that there is a “high degree of uncertainty” surrounding the effects of climate change on public health and welfare. Source. Tweet this fact. 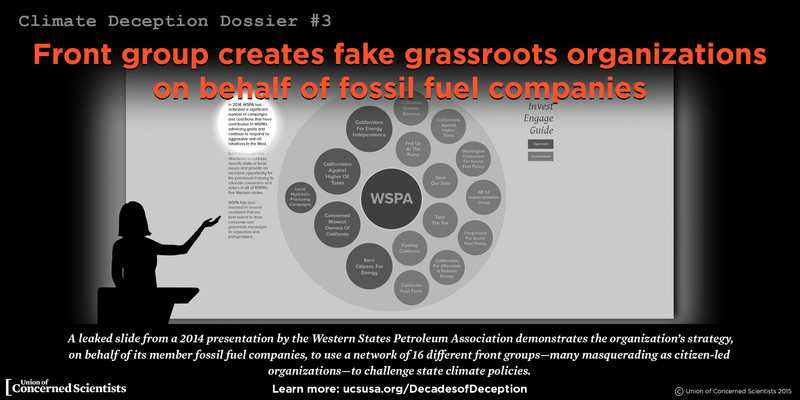 2014: A leaked presentation by the Western States Petroleum Association (WSPA) reveals the group’s strategy: create and promote astroturf groups to challenge climate policies on the West Coast. Source. 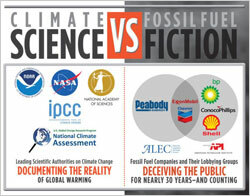 Tweet this fact. 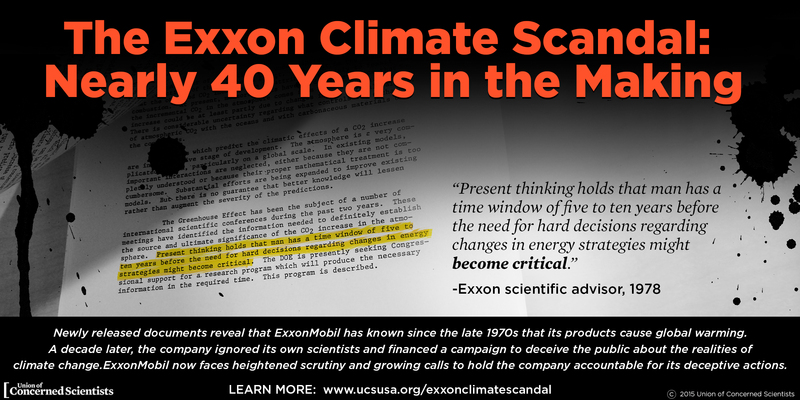 As of 2014, major fossil fuel companies ExxonMobil, Chevron, BP, ConocoPhillips, and Shell were represented on the board of directors of API as of 2014. 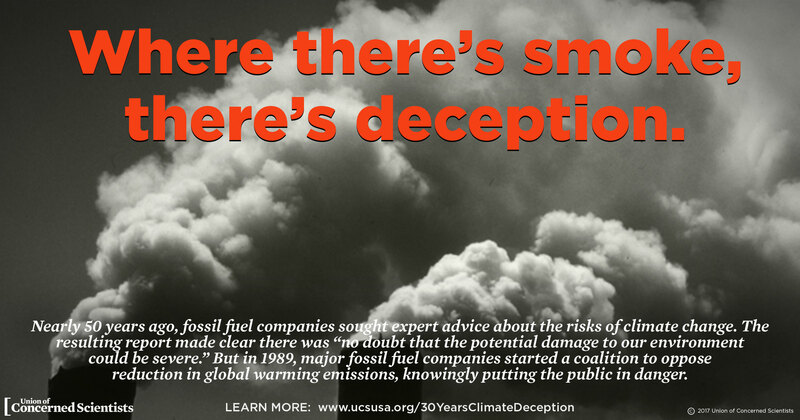 None have taken any steps to distance themselves from API’s climate disinformation. Source.